Yesterday marked the finale for the 100th Tour de France. Chris Froome raced by throngs of cheering fans along the Champs-Elysees to finish first. The race has gained a lot of attention and fans in its 100 year tenure, and every year it continues to gain more advocates. While the Tour drives dialogue and content on cycling in the media during the 23-day span, but what about the rest of the year? With the advent of self-publishing services, niche publications have continued to grow as people discover publications that focus on their specialized interests. Self-publishing with MagCloud has made it easier for creators to kick it up a few gears and distribute in-depth content easily, and for readers to read it on any device, at any time. Specialized publications allow readers to access their favorite topics without having to filter through other content while also connecting with a community of like-minded enthusiasts. Are you spinning for more cycling publications? Take a look at these magazines published with MagCloud. XXC Magazine has been publishing on MagCloud since 2009. 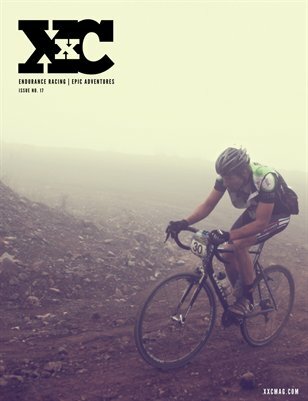 The mountain biking magazine features race coverage, dynamic pictures and key interviews. Since MagCloud doesn’t have minimum print runs, XXC is able to publish content on their schedule and provide readers with print copies on demand. Ryan Hosler published his book, “Bay Area Bike Rides,” in 1990. Since then, Hosler has created some great biking content with MagCloud. One of his touring magazines, Mount Hamilton by Bike, provides a road history, memorable trails and other great content for tourists looking to cycle in the San Jose area. He has also published calendars of photos from his rides and a collection of short stories for children. Last June, Photo Synthesis came out with a special edition of their magazine about the Metropolis, IL Superman Bicycle ride. The edition highlights some participants and activities associated with the ride through pictures. The Tour de France is a great opportunity to watch a community celebrate a shared passion. Whatever your niche may be, hit the road to success by tapping into your target market and providing high-quality material. Great content will increase your brand recognition and grow your business, while allowing you to share what you love with others who love it too!